In the world of injection molding and plastics engineering, the proper expertise is essential. Robert Elwell launched PROCAD TECHNOLOGIES as a means of providing that expertise. 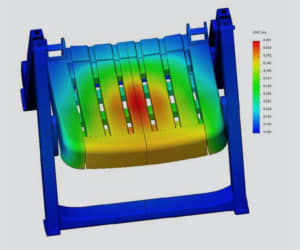 Without advanced CAD tools such as SOLIDWORKS Simulation Premium, PROCAD would be unable to help clients attack problems related to mold-tooling, speed up tooling cycles or streamline production. Complete the form on this page to download your free case study. Your download is sponsored by Dassault Systèmes.